Welcome to All My Heart Bridal! All My Heart Bridal, located in Lee's Summit, MO, is Kansas City's first and only bridal salon for plus size brides. From delicate veils, rose gold jewelry, and everything in-between, any bride can find the perfect piece to compliment her beautiful gown. Our exclusive accessories collection offers a wide variety of designs to brides looking to personalize their wedding day style. Designers include The Yellow Peony, Bel Aire Bridal, Veil Trends, Badgley Mischka Bridal Shoes, and The Noel Collection, designed by All My Heart personally for customizable sashes and belts. Whether you're looking for sparkle, pearl, or simplicity, The Noel Collection is created specifically for the AMH Bride. 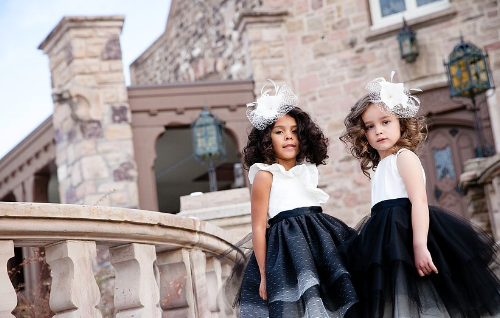 All My Heart Bridal is proud to introduce Lille Couture Flower Girl dresses exclusively from Veil Trends designer Jolene Picone. Choose from four different dress styles for the perfect base, and complete her look with a custom tutu and matching accessories. Schedule her Princess Appointment today!